Three examples of this particular brand, with a ‘spaghetti-style’ Deane logo, have been seen so far, but no verifiable information is presently available in the public domain about the Company or people. All pickups shown are DeArmond Model 55, except for the sunburst 400 which has a Model 41 at the neck. The bridge pickups only are mounted on shallow timber bases. 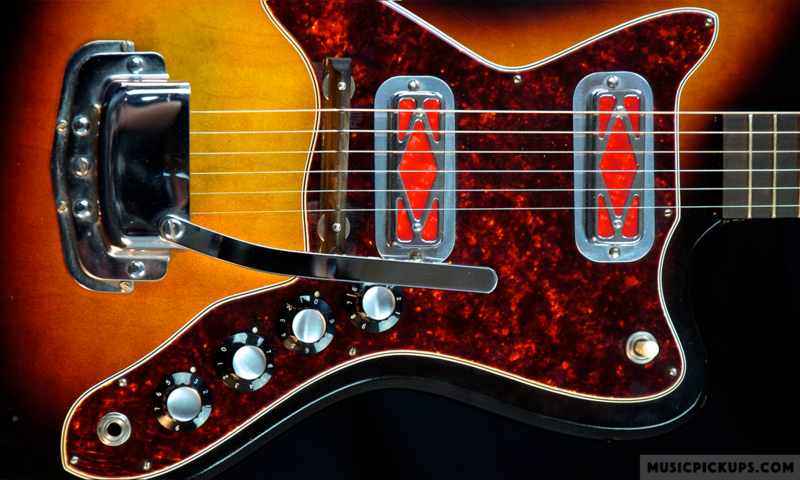 The knobs (except for two replaced knobs in the sunburst example) are all transparent conical DeArmond. The wiring harnesses were purchased directly from Rowe DeArmond.